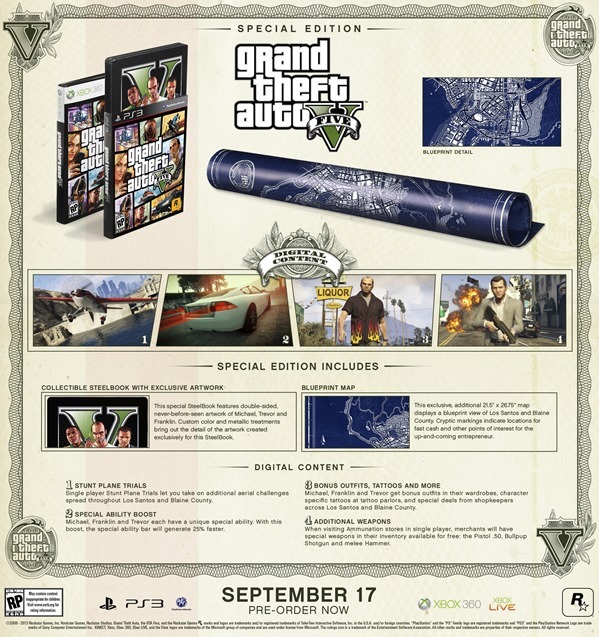 GTA 5 Special And Collector’s Editions Announced, Pricing + Pre-Order. 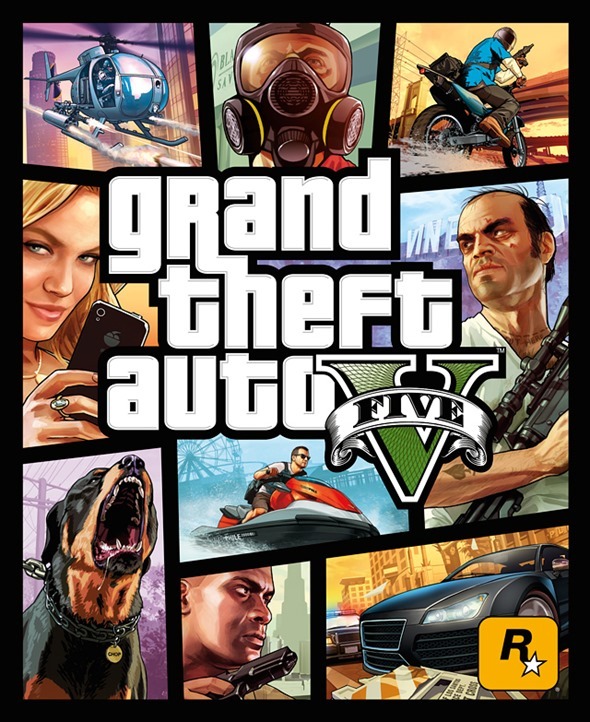 First up is the Special Edition, which is aimed at the relatively staunch GTA 5 fan. Costing a reasonable $79.99 — just twenty bucks more than the game on its own — you get a copy of the title, an art-book blueprint map, special in-game abilities for certain characters, stunt planetrials and a number of additional garments and weapons you otherwise wouldn't have been able to enjoy. 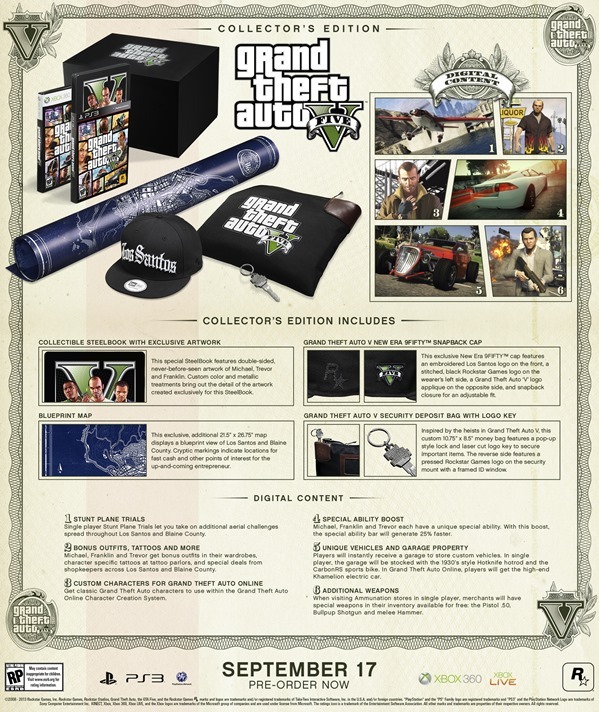 The Collector’s Edition costs a cool $149.99, and as well as bundling everything found in the Special Edition, purchasers will also be treated to a security deposit bag and logo key, cap, classic characters for the online experience, and a host of unique vehicles and garage property. For anybody to spend $149.99, they’d have to be a pretty big supporter of GTA 5, but I am sure there are plenty out there willing to part with such vast amounts of cash, particularly considering the multitude of exclusive bits and pieces others won’t be able to access.